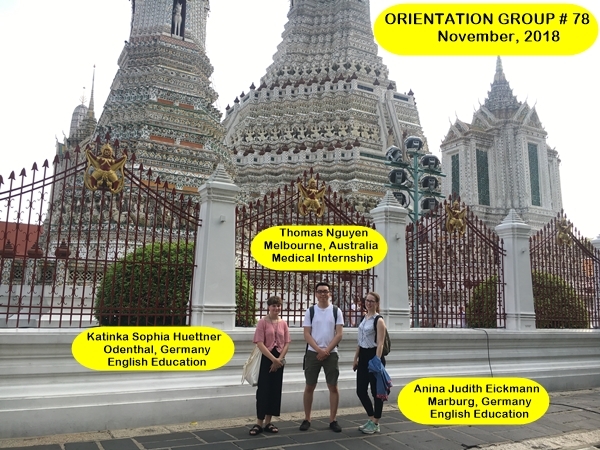 Presenting Bangkok Volunteer and Intern Group #78! A small group of three from Germany and Australia. They are participating in our Medical Internship and English Education Volunteer Project. They completed orientation and started in their programs a few weeks ago.